Own who you are and use your voice. This was the consistent messaging delivered by a panel of diverse female professional leaders, who spoke in front of a packed audience at a Women & Hi Tech (W&HT) “Special Edition” of its Executive Women’s Forum on February 1, 2018. The program was organized by Angela B. Freeman, W&HT Director of Networking Events, to highlight the organization’s new mission statement that emphasizes equality and inclusivity amongst women in STEM. 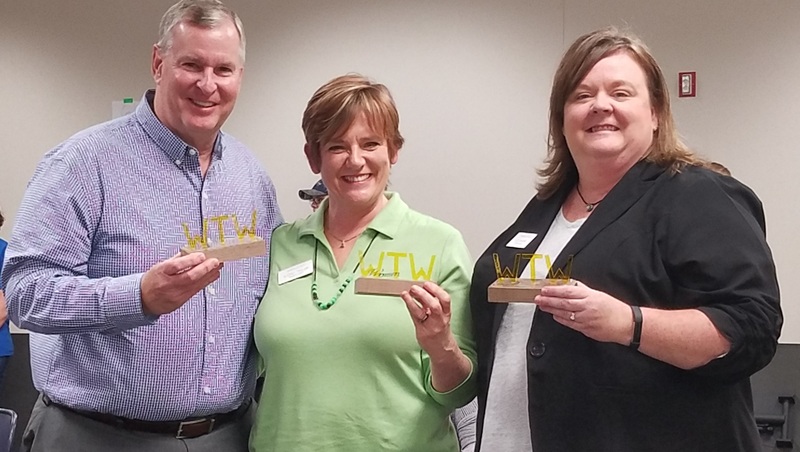 The event entitled, “A Double Whammy or Triple Threat: The Disparity of Diversity Amongst Women in STEM” was held to provide practical tips and tools on how to advance diverse female talent in the workplace. The panel shared their personal experiences and offered suggestions on how to promote self-worth. The audience was challenged to utilize their privilege as professionals in STEM to help and champion other women, especially young girls. As a middle school student shared at the 2017 Ignite Your SuperPower (IYS)™event, “Today I learned girls can do anything!”, stated Audrey Taylor, President of Women & Hi Tech and founder and CEO of netlogx, an information risk management company. “We need to encourage and promote each other,” said Taylor. 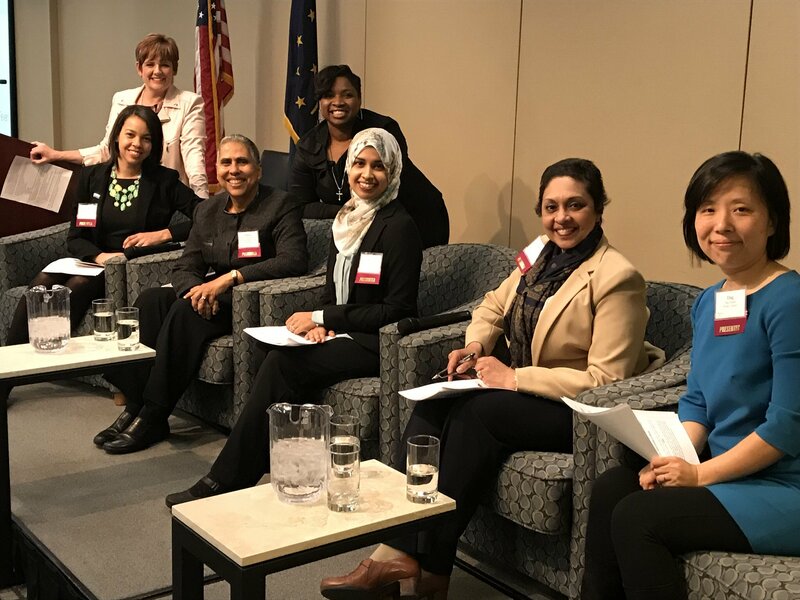 This dynamic panel also included Tuhina Chakrabarti, Vice President of Engineering, FLIR Systems; Ting Gootee, Chief Investment Officer, and Founding Member of Elevate Ventures; Rafia Khader, Program Manager, Lake Institute on Faith & Giving at Lilly Family School of Philanthropy, IUPUI, along with the panel moderator, Dawn Rosemond, Partner and Director of Diversity, Professional Development, and Inclusion at Barnes & Thornburg, LLP. Attendees socialized at a networking reception to conclude Women & Hi Tech’s 2018 kickoff event. Pictures from the event can be found here on our website. 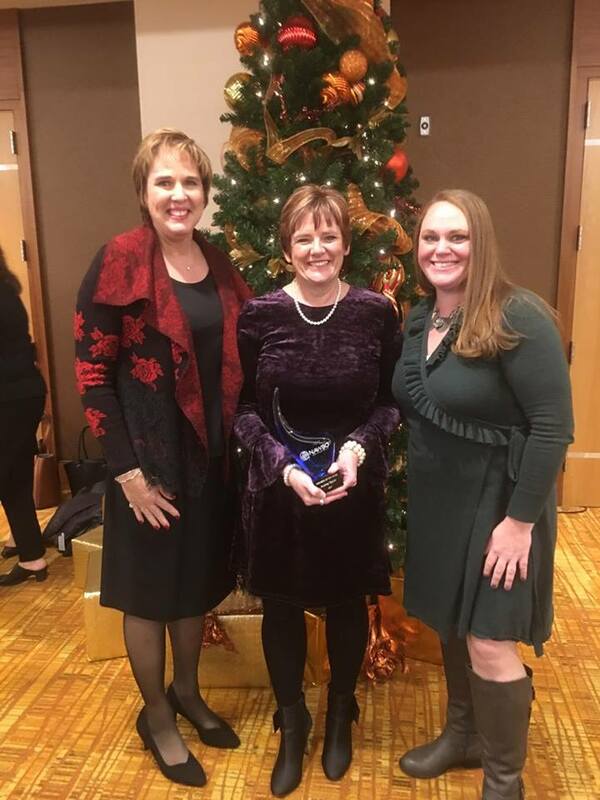 Congratulations to our President, Audrey Taylor on being awarded Member of the Year at the 14th Annual National Association of Women Business Owners (NAWBO) Visionary Awards Luncheon. 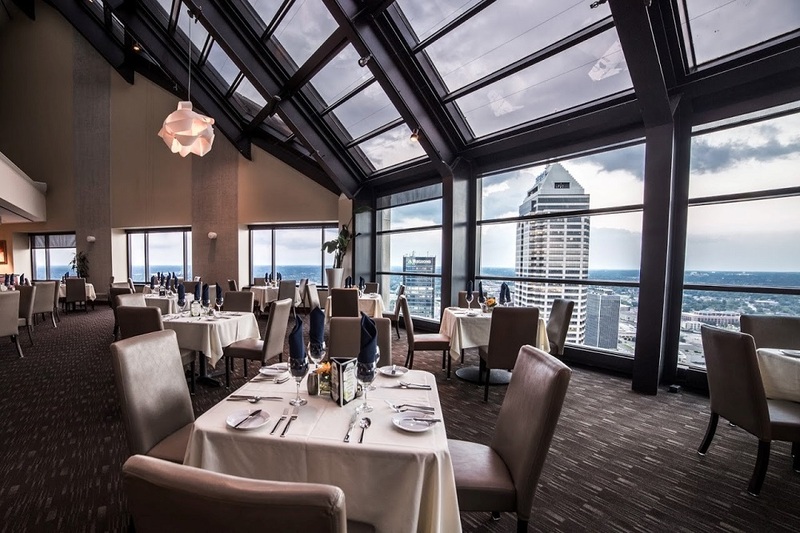 Learn more about NAWBO Indianapolis by visiting www.nawboindy.org. Announcing our 2017 Volunteer of the Year, Kelly Ragle! 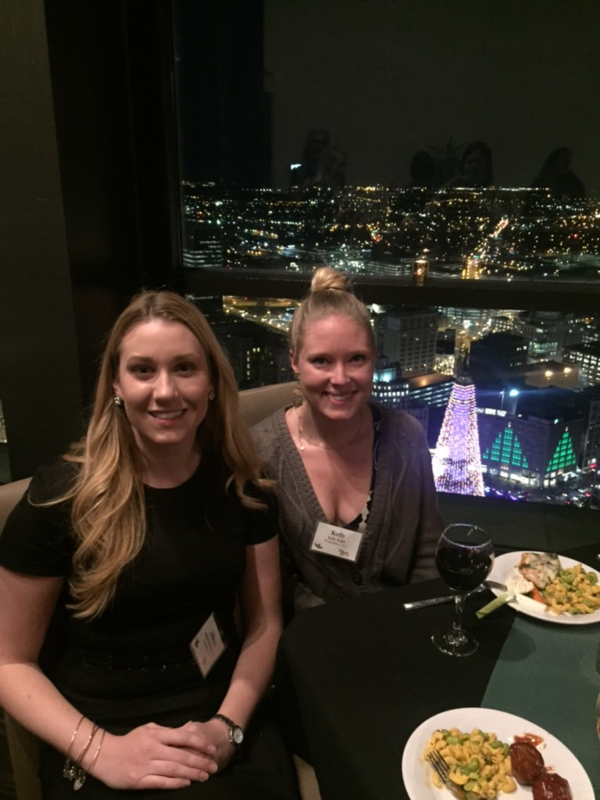 Kelly volunteered for our Holiday Networking Event, Executive Women's Forums, Passport to Hi Tech and our Spring Networking Event at IMS. Whenever there was a call for volunteers, Kelly was always willing to help. We've posted some pictures from the Holiday Networking Event online. Do you have some great pictures you'd like added? If so, please email our Communications Director, Lori Boyer at Communications@womenandhitech.org. With thanks to our outstanding sponsors, Women & Hi Tech is honored to provide three scholarships this year to women studying science, technology, engineering or math (STEM) in Indiana with the intent to remain in the state after graduation. 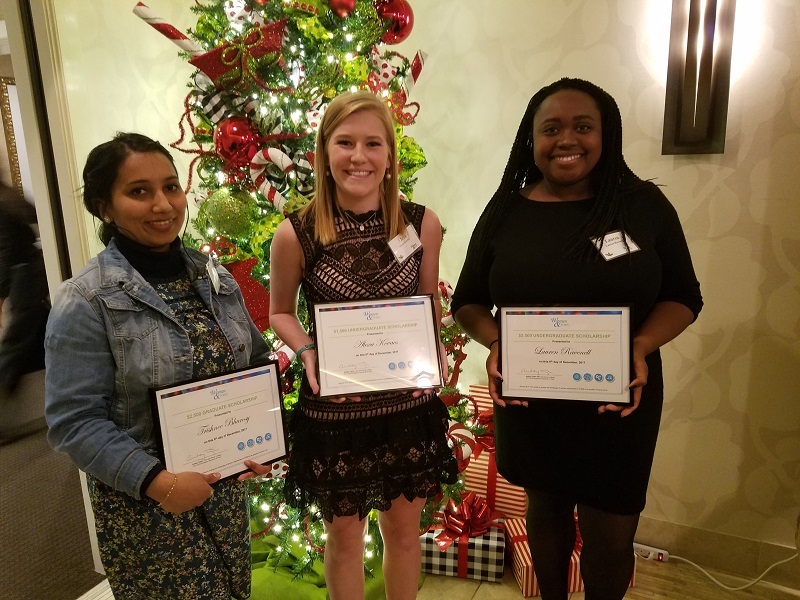 The scholarships (one graduate and two undergraduate) were awarded last night during the Women & Hi Tech Holiday Networking event held at the Skyline Club in downtown Indianapolis, Indiana. Trishnee Bhurosy, a Doctoral Candidate at Indiana University studying for her PhD in Health Behavior with a minor in Nutritional Epidemiology. Lauren Ravenell, a student at Ball State University, studying for a Bachelor of Arts in Telecommnications with a focus on Emerging Media with minors in Computer Science and Spanish. Alexa Kovacs, a student at Rose-Hulman Institute of Technology, studying for a Bachelor of Science with double majors in Mathematics and Economics. "Women & Hi Tech encourages and celebrates all women can, and do, achieve in STEM fields," said Audrey Taylor, President of Women & Hi Tech. "In awarding these three scholarship awards, Women & Hi Tech is supporting amazing women on their educational journey into STEM careers and it is an honor to be this year's President celebrating Trishnee, Lauren, and Alexa." 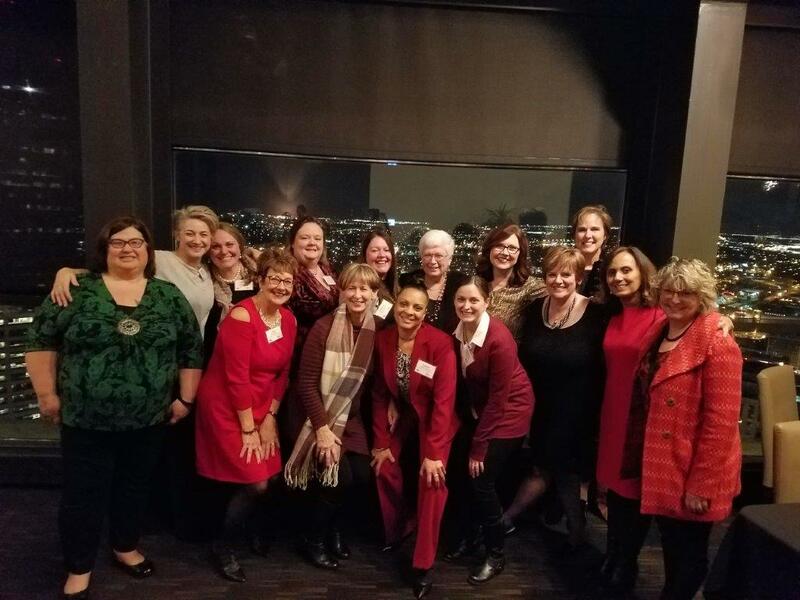 Volunteers needed at the 2017 Women & Hi Tech Holiday Networking Event on December 6, 2017 at the Skyline Club, located at American Square, 36th Floor, Indianapolis, IN 46282. As a volunteer you will run the sign in table and our gift table. You must be registered for the event to volunteer. 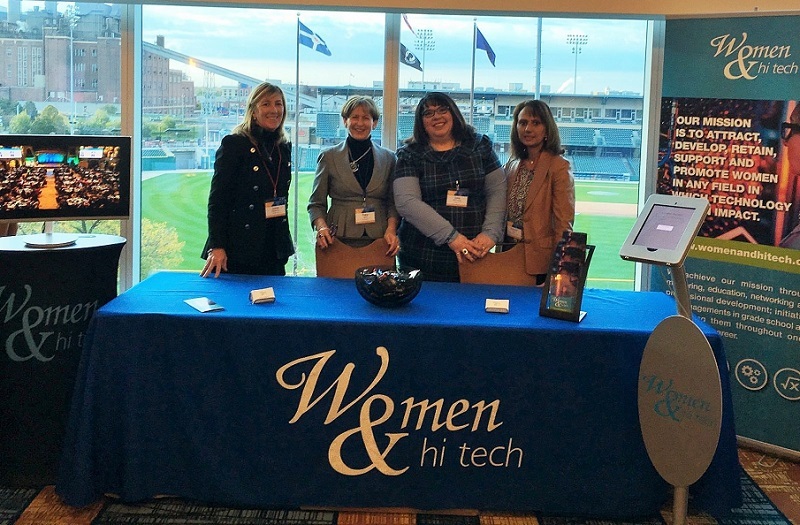 Our President, Audrey Taylor, and our Communications Director, Lori Boyer represented Women & Hi Tech at the Women In Technology Workshop on November 4, 2017. Even Former Mayor Greg Ballard was there to speak to the crowd! 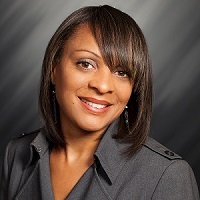 Angela B. Freeman featured in work style section of Indiana Minority Business Magazine. Angela B. Freeman, the Director of Networking Events for Women & Hi Tech and a Patent Attorney at Barnes & Thornburg LLP, was recently featured in the work style section of the Fourth Quarter, 2017 issue of Indiana Minority Business Magazine (IMBM). This edition of IMBM focused on minority professionals in the Technology and Innovation sectors, including STEM fields. Pictured with Angela are James Duke of IU Health and Kay C. Dee of Rose-Hulman.